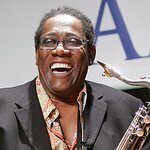 Before his passing in 2011, legendary E Street Band saxophonist Clarence Clemons helped raise hundreds of thousands of dollars for Little Kids Rock, a leading nonprofit provider of free musical instruments and lessons to underprivileged public school students across the United States. In an effort to honor his legacy and continue supporting the charity, The Jean Shop has been selling leather “Big Man” bracelets online, raising more than $12,500 this summer. The funds will allow Little Kids Rock to serve at least 750 new children with free instrumental music lessons this school year. Last year, his E Street bandmate Steven Van Zandt and his wife Maureen introduced Clemons’ wife Victoria, who presented the award to Lady Gaga. The pop star’s presence was a complete surprise to the crowd of more than 300 guests and donors. Proceeds from the bracelet sales and the Right to Rock Celebration will go toward providing free instruments, curriculum and lessons to thousands of students in disadvantaged public school districts nationwide that have seen their music programming decimated due to budget cuts. Buy your Big Man bracelet while supplies last at littlekidsrock.org/bigmanbracelet. Tickets and sponsorship opportunities for the Right to Rock Celebration are still available, and include dinner, drinks, souvenirs and corporate brand placement. Reserve your seats today at littlekidsrock.org/RTR-Signup.